Innovative Web applications, powerful processors, spectacular HDTVs, and creative game consoles--we asked you for your favorites and added lots of our own for our annual roundup of the best hardware, software, and services. Then we looked at each product, rating and debating its design, impact, performance, and value to create our ranking of the best tech products available, from 1 to 100. Of course, no matter when we plan our best-products story, a few hot contenders--we're looking at you, iPhone--will end up just around the corner. So this year we took time out to run down our five most anticipated products, as well as several hot and not-so-hot technologies. Read on for all that plus slide shows, video, and more. (Web applications; $50 per user per year) Google is much more than just a search engine, and with its invaluable Google Apps suite, the company is well on its way to challenging Microsoft for productivity-suite supremacy. Google's Docs & Spreadsheets (soon to be joined by a PowerPoint-esque presentation application) already makes for an interesting alternative to Microsoft Office. 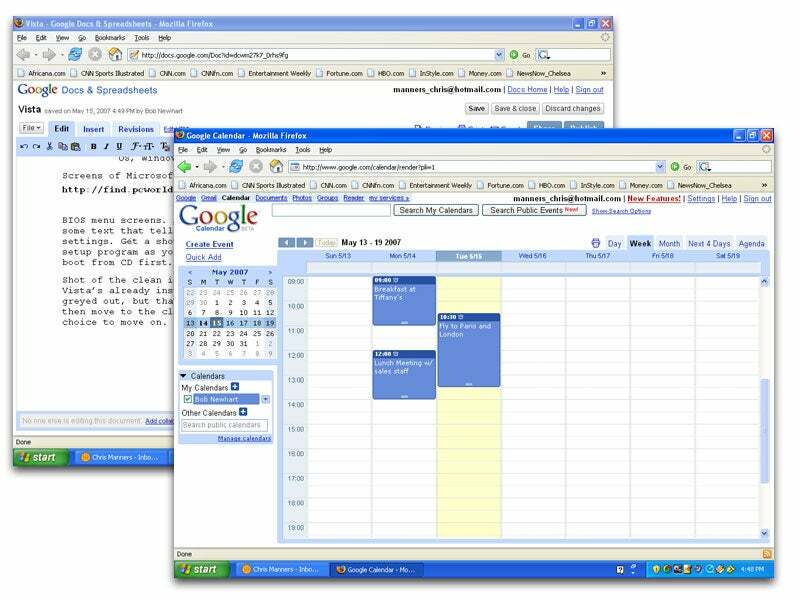 Combine it with Gmail, Google Talk, and Google Calendar, and suddenly nearly all of your basic productivity programs and data can be available online.